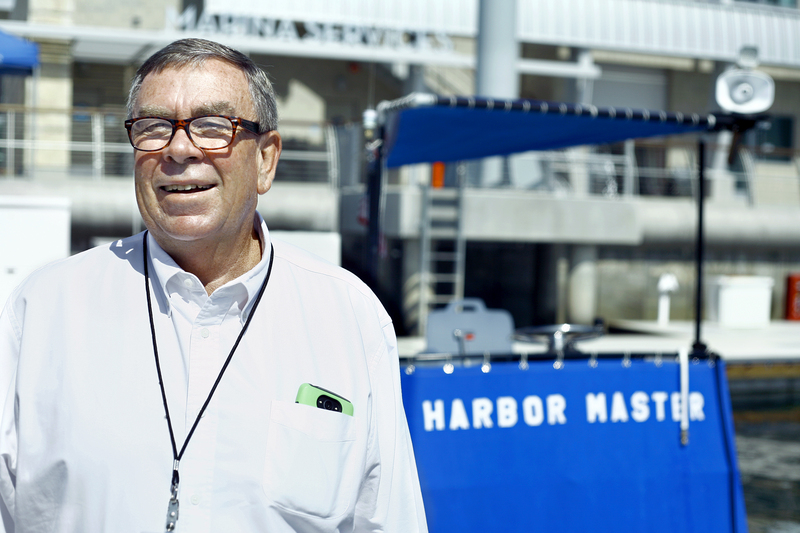 ► Longtime resident, world-renowned sailor, local real estate agent, and Newport Harbor enthusiast Dennis Durgan officially started his position as Harbormaster in the newly created city program on July 1. Durgan is a “key part of the city’s harbor service transition.” He oversees the day-to-day operations, harbor service staff, marina park marina operations, and management of the city moorings. His newly created department aims to provide information and education for boaters – both visiting and locals – and mooring permitees and renters, answer noise complaints, and watch for ordinance violations, while also educating the public on ordinances in the harbor. ► After working on the Mariners’ Mile Revitalization Master Plan for approximately one year, the city backed off following public outcry. Most of the issues raised by residents centered around the potential widening of West Coast Highway. Mayor Kevin Muldoon (with scissors) cuts the ceremonious ribbon to officially open the Park Avenue Bridge. His fellow City Council members, along with city and state officials, attended the event July 25. 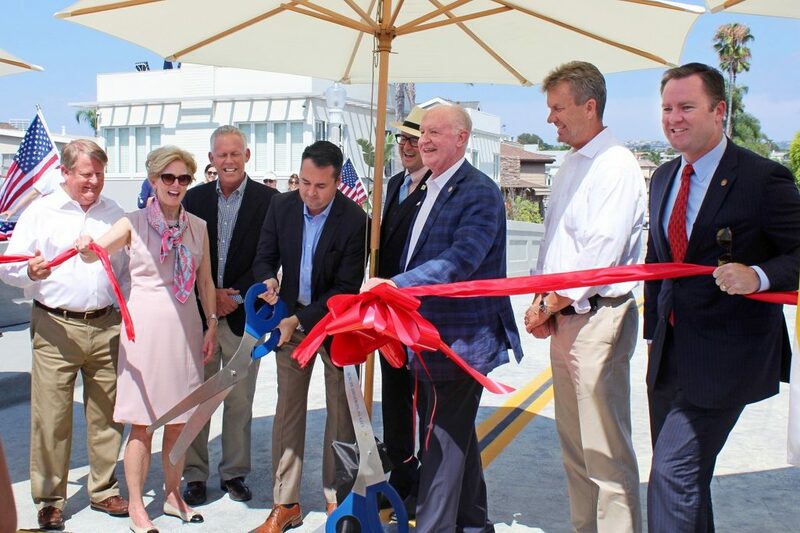 ► Nearly 200 people gathered July 25 to celebrate the reopening of the Park Avenue Bridge, the link that connects Big and Little Balboa Islands over the Grand Canal. The new bridge is a replacement of a bridge that was removed last year. Construction of the bridge was completed by John S. Meek Company, Inc. The project, which cost $7 million, was funded in full by the Federal Highway Administration’s Highway Bridge Program. Los Angeles Diocesan Bishop J. Jon Bruno, who attempted to sell St. James the Great Episcopal Church on the Balboa Peninsula, was found guilty of misconduct. ► Los Angeles Diocesan Bishop J. Jon Bruno, who attempted to sell a Newport Beach church property and locked the parish out in 2015, was found guilty of misconduct. 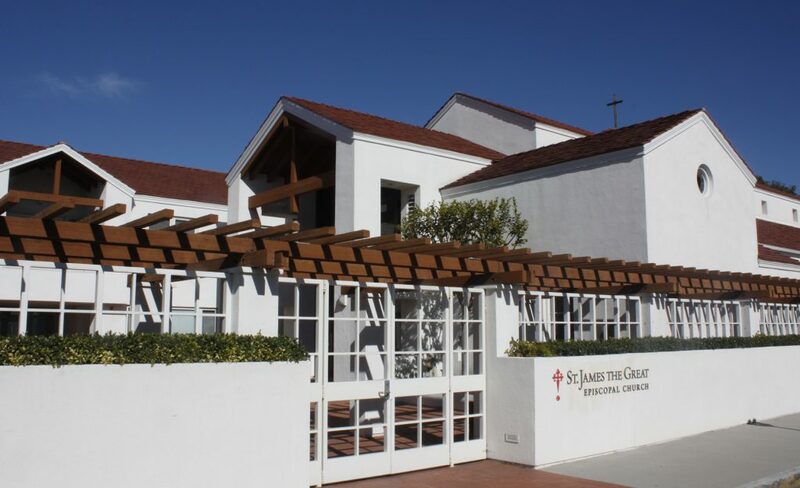 Bruno attempted to sell St James the Great Episcopal Church, located at Via Lido and 32nd Street on the Balboa Peninsula, to Legacy Partners for $15 million. The deal eventually fell through. Bruno evicted the church members and locked them out of the Lido parish. Regarding his conduct in the attempt to sale the church property, charges were brought against Bruno. An ecclesiastical trial was held in March in Pasadena. The hearing was investigating allegations against Bruno concerning conduct involving dishonest, fraud, deceit or misrepresentation, conduct unbecoming a member of the clergy, and failure to exercise his ministry in accordance with the Constitution and Canons of the Church. In an order released Aug. 2 by the Episcopal Church hearing panel, they recommended three years suspension for Bruno from all ministry and removing all authority over the church property. Another notable comment in the report, is that the hearing panel declined to depose Bruno. 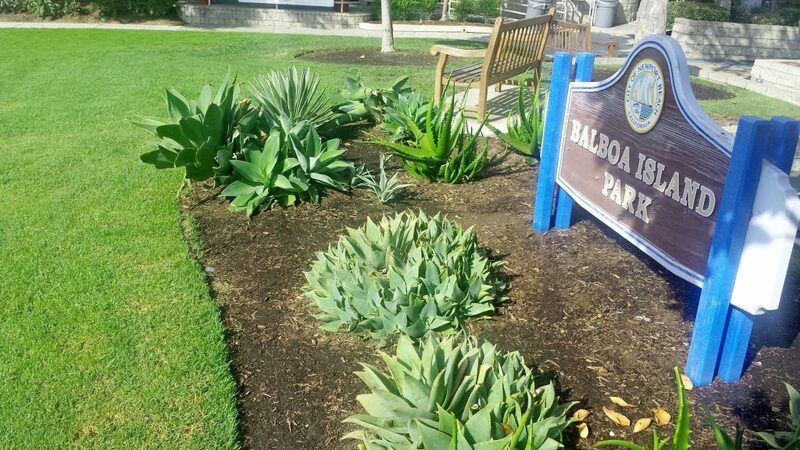 Balboa Island Park, the small patch of land a group of residents is working to get renamed after the late resident and community activist, Ralph Rodheim. ► The Newport Beach Parks, Beaches and Recreation Commission unanimously voted on Aug. 1 to deny the request to rename Balboa Island Park after the late resident and community leader Ralph Rodheim. They opted to follow City Council policy B-9, which includes “suggestions” that parks be named after bordering streets or schools, topography, theme, or common names already in place for the area. Naming new or existing parks after “renowned citizens of the community” was removed from the policy in 2003. City Council waived the policy earlier in the year in order to name a park after John Wayne. Balboa Island residents behind the effort planned to appeal to City Council. 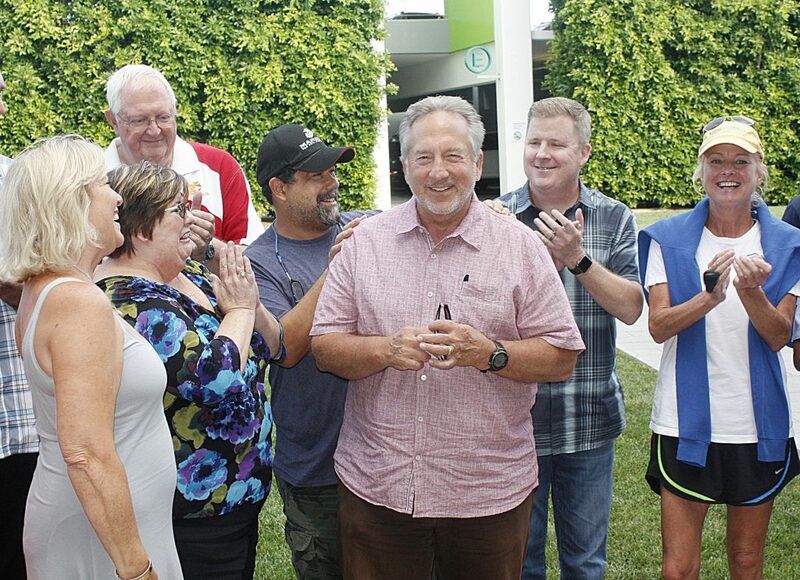 Former city manager Homer Bludau (center) is congratulated for being named Newport Beach Chamber of Commerce Citizen of the Year for 2017 during a surprise announcement on Aug. 14. ► Former Newport Beach city manager Homer Bludau was named Citizen of the Year for 2017 by the Newport Beach Chamber of Commerce on Aug. 14. Bludau was city manager from 1999 to 2009. During his tenure as city manager, he had a number of accomplishments, including the negotiation of the John Wayne Airport Settlement Agreement, the annexation of Newport Coast and areas of Santa Ana Heights, the development of Bonita Canyon Sports Park, and the approval of a new City Hall and park. After retirement, Bludau stayed active in the community. He sits on the board for the 1st Battalion 1st Marines Foundation, volunteers through his church at Our Lady Queen of Angels and is a member of the Chamber of Commerce Commodore’s Club. The sun’s corona flashing out from behind the moon during the Aug. 21 total solar eclipse. ► Millions of onlookers were in awe the morning of Aug. 21 as the shadow of the moon passed over the contiguous United States during a rare total solar eclipse. 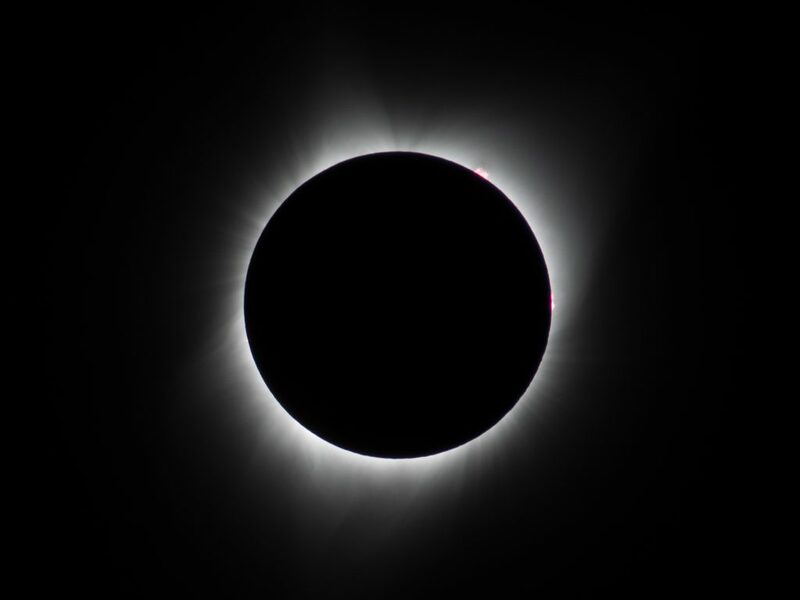 The path of totality – the route of the moon’s shadow where the moon completely covered the sun – made landfall in Oregon and ended in South Carolina. People inside the 70-mile wide path experienced 100 percent totality. The rest of the nation, including Newport Beach, experienced some degree of a partial solar eclipse. In Newport Beach, spectators saw a partial eclipse of about 60 percent. Approximately 300 people viewed the “Great American Eclipse” at the central branch of the Newport Beach Public Library. Library staff presented a live stream of NASA’s online coverage on a large screen in the Friends Room. Celestial snacks were provided in the form of SunChips and MoonPies. At times, the room was at full capacity and a line formed outside of the door. ► A woman was attacked while jogging near the intersection of 16th Street and Seagull Lane on Aug. 31 around 5:42 a.m.
She reportedly worked for the San Bernardino County district attorney‘s office. A man seen in the area at the time is described as white or Hispanic, according to police. He was riding a red beach-cruiser-style bicycle in the direction of Irvine Avenue. Detectives were seeking possible witnesses. Newport Beach City Council recently reversed their previous decision and agreed to apply to use the “gas tax” funds for local road repair. 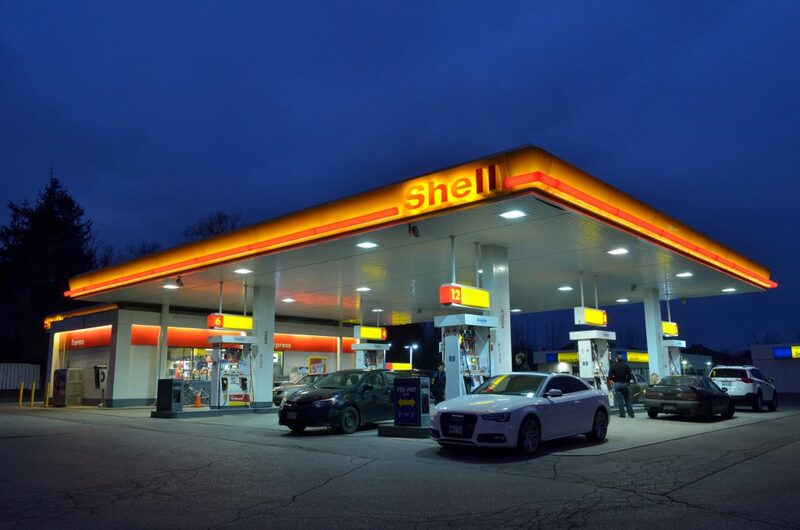 ► Following public outcry, Newport Beach City Council changed their stance during a special Aug. 31 meeting on whether or not to apply to use state funds from what is commonly called the “gas tax” for local road repair projects. Council reversed their Aug. 8, Council vote against amending the city’s 2017-18 Capital Improvement Program budget to include Road Maintenance and Rehabilitation Account funding from the Road Repair and Accountability Act of 2017. Voting yes for the resolution would have increased revenue by an estimated $481,309, which city staff tagged for the MacArthur Boulevard and University Drive pavement rehabilitation project. 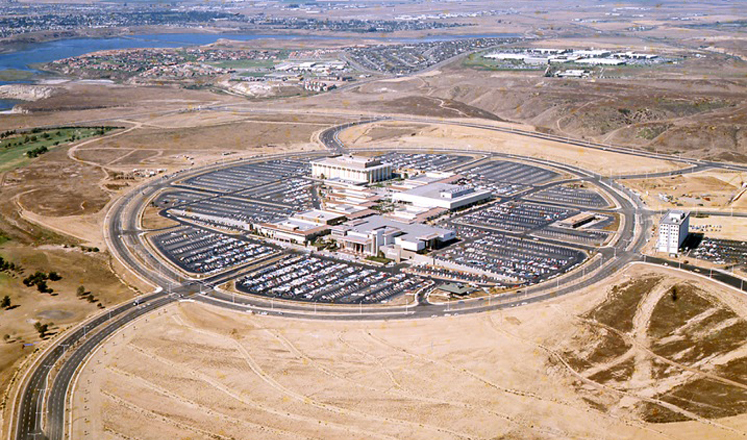 Fashion Island in the early years. ► Fashion Island turns 50 years young on Sept. 9. The 75-acre shopping center has been celebrating all summer with its 50 Days of Fashion Island promotion, with special offers throughout. All of this leads up to the official Sept. 9 birthday, when Fashion Island hosted a Customer Appreciation Day. ► Newport Beach City Council voted 6-1 on Sept. 12 to purchase the property at 2807 Newport Blvd., where a closed McDonald’s sits, for $4 million from MNG Newport Beach, LLC. The city plans to move the fire station currently located at 475 32nd St. to the new site to serve residents in the Lido area on the Balboa Peninsula. The existing fire station is more than 60 years old and is at the end of its useful life. It does not meet operational needs for equipment and is scheduled for replacement. A few residents spoke up during public comment. Neighbors were primarily concerned about the noise and lights the “McFire station” would cause in their community. 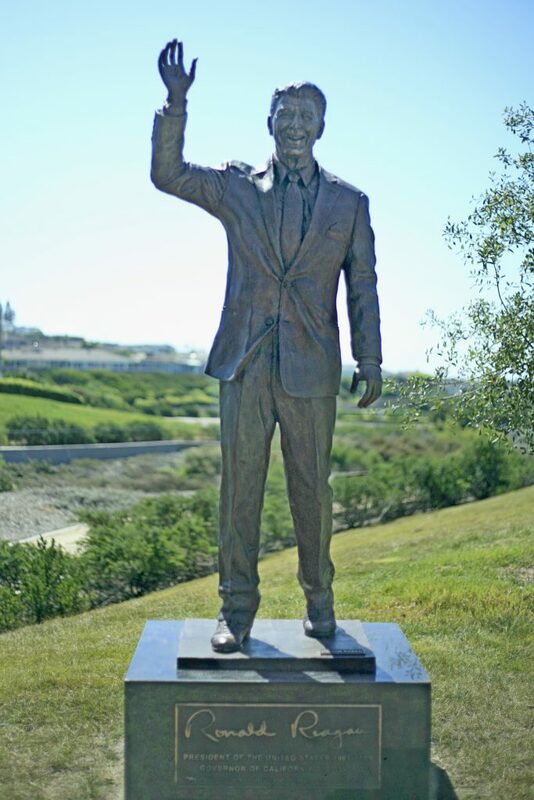 The controversial Ronald Reagan statue, located at Bonita Canyon Sports Park for several years, was placed in the Civic Center Park at the Newport Beach city hall on Sept. 13. ► The sculpture of former U.S. president Ronald Reagan, which was in Bonita Canyon Sports Park for several years, was relocated to the grassy corner of Avocado Avenue and San Miguel Drive in the Civic Center Park on Sept. 13. City Council asked earlier in the year for the Reagan statue to be considered as the 10th piece in the third phase of the sculpture exhibition in the park. Although the other nine pieces in the current phase of the exhibition were approved by City Council on Sept. 26, the Reagan statue was been installed weeks earlier. The other sculptures were discussed at length and voted on numerous times during the selection process. It’s been a quiet, and slightly unusual, relocation process for the Reagan statue, a stark contrast to how it was originally installed six years ago. A contentious debate erupted about the statue before it was eventually approved by then-City Council in 2011. The new city hall (under construction at the time) was considered as a location for placement of the sculpture, as well as Castaways Park, but both sites drew criticism and protests from the community. Officials finally settled on Bonita Canyon Sports Park. 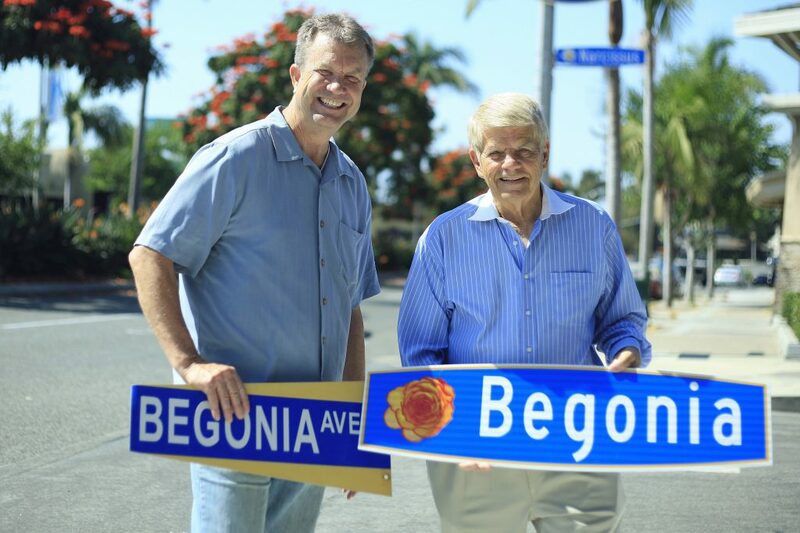 Newport Beach City Councilman Scott Peotter, who represents the district that covers Corona del Mar, and CdM Business Improvement District Chairman of the Board Bernie Svalstad pose for a photo with the new and old Begonia Avenue flower signs on Sept. 19. ► The Corona del Mar Business Improvement District completed a project to install decorative flower street signs along East Coast Highway through the CdM business district. A group of city officials, council members, BID and Chamber of Commerce members met at a PCH intersection Sept. 19 to celebrate. The new signs include a colorful illustration of the flower in which the street is named. The project also included switching out the Coast Highway signs at the non-traffic signal or signalized crosswalk intersections for new ones with the city’s sailboat logo. Corona del Mar BID fully funded the project to include design, sign fabrication and installation. The total estimated cost was $14,962.60. A total of 52 signs were ordered, but only 48 were installed because there were a few locations (Acacia, Begonia and Carnation, and one section of PCH) that don’t have a northbound side. The city will hang on to the extras in case the signs need to be replaced in the future, Newport Beach Public Information Officer Mary Locey explained. 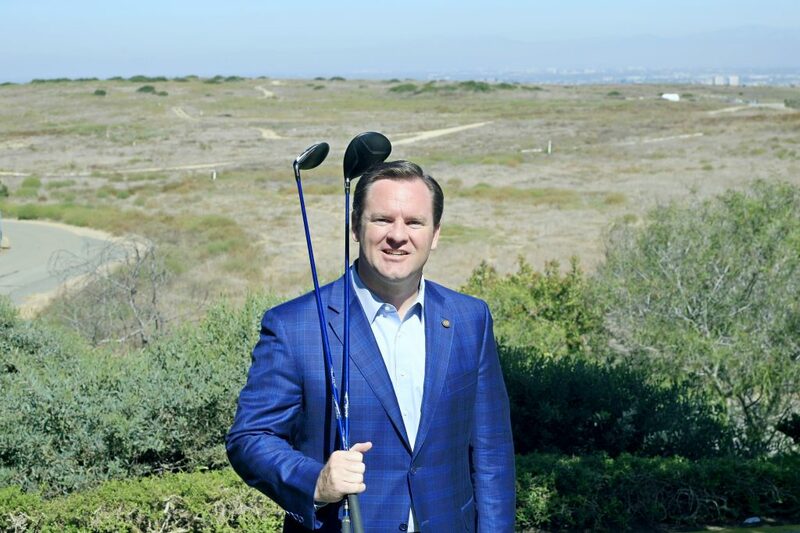 Newport Beach City Councilman Will O’Neill holds golf clubs in front of the closed Coyote Canyon landfill in Newport Coast. The Orange County owned property is proposed as the site for a future golf course. O’Neill is “cautiously optimistic” about the idea. 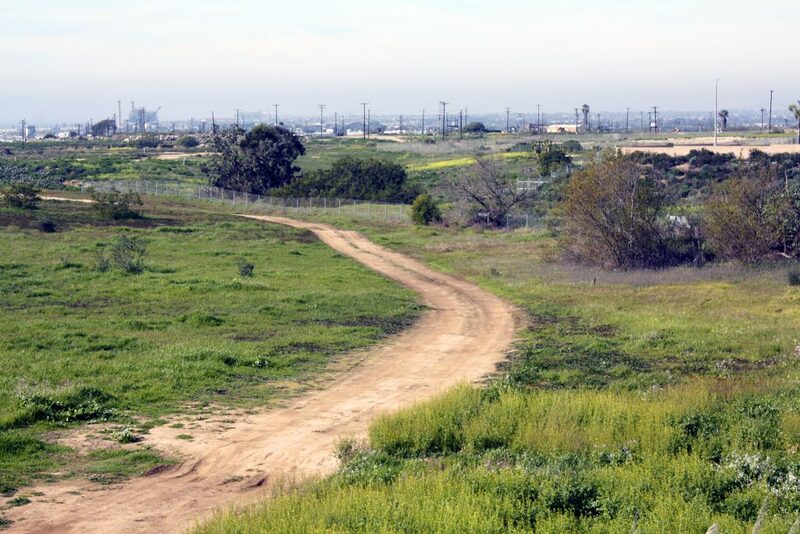 ► The Orange County Board of Supervisors on Sept. 26 selected Chapman Investment Company LP and Guardian Investment Capital, LLC, as primary for lease and development of the closed Coyote Canyon landfill located at 20661 Newport Coast Drive in Newport Beach. The plan is to turn the site into a golf course. Selection of a developer allows the county staff to begin agreement negotiations. They are at least six to 18 months out from submitting any sort of application. The major components in the Chapman proposal include: An 18-hole short course, “high end” practice facility and entertainment venue, PGA Tour golf academy, double-ended double deck driving range, open-air bar and grill, a “fast play” course and more. There are significant environmental, landfill operations, traffic and other studies, as well as community input gathering and outreach to conduct before they can formalize any plans or proposals. 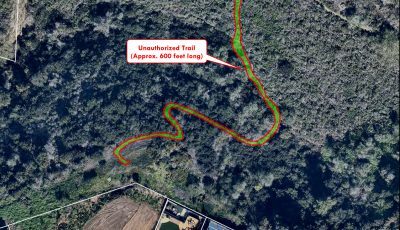 The landfill is currently reserved as open space with approximately 123.5 acres set aside as coastal scrub habitat for the California gnatcatcher. Approximately 205 acres of the landfill is available for leasing and potential development. 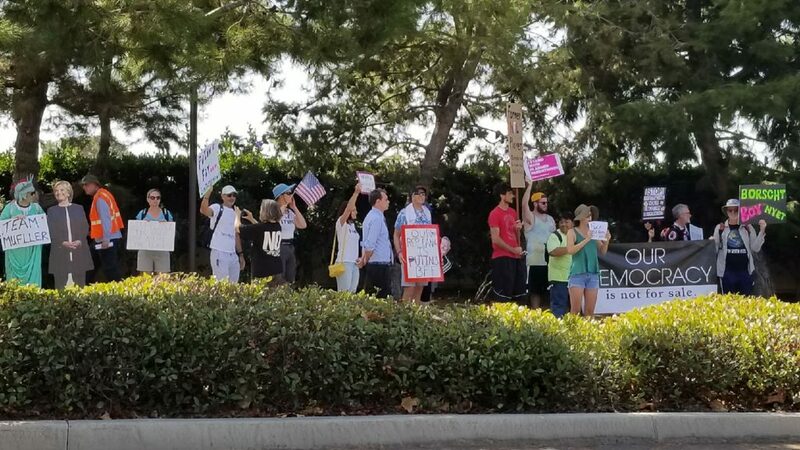 Protesters outside Pelican Hill Resort, where U.S. Vice President Mike Pence held a fundraiser on Oct. 9. ► Vice President Mike Pence visited Newport Beach Oct. 9 for a political fundraiser at the Resort at Pelican Hill. A crowd of about 40 protesters showed up with signs and chants outside the Newport Coast resort. A group of people with supportive signs nearby. There was also a heavy presence of police. The luncheon was reportedly hosted by Orange County Supervisor Michelle Steel and her husband, Shawn, of the Republican National Committee. Although the main section of the resort was still taking lunch reservations, a side entrance into the property was blocked off. An example of a small unmanned aircraft systems, or drone, as discussed Oct. 10 by Newport Beach City Council. ► Newport Beach City Council reviewed drone regulations during a Oct. 10 meeting. Newport Beach Police Department gave a presentation about various approaches for regulation regarding small unmanned aircraft systems, or, as they’re more commonly known as, drones. For visual aid, a “quad-copter” style drone was placed on the podium. The example drone also included a mounted camera. Staff went over the differences between recreation and commercial drone flight, how other cities are dealing with the issue, and explained several local, state and federal laws or ordinances that apply – or could apply – to drone regulation. 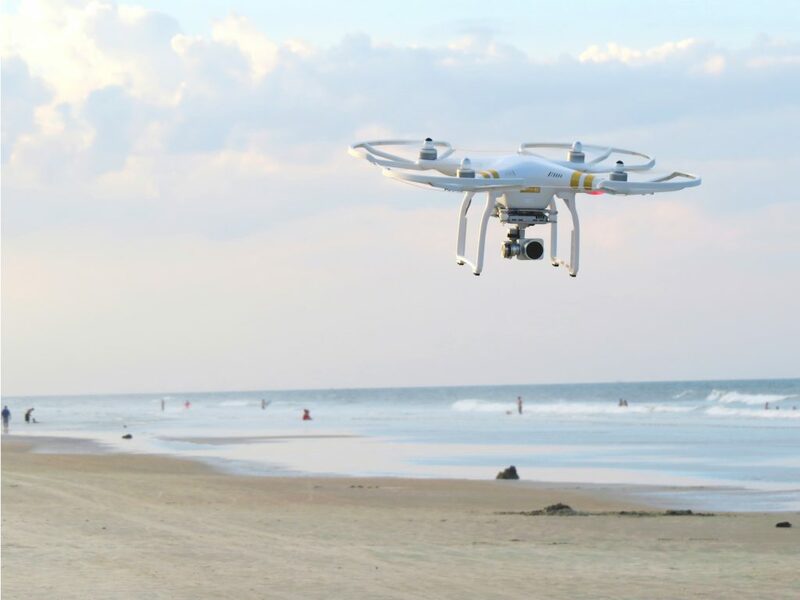 NBPD pointed out that the current city ordinance requiring a permit for commercial photo or video recording, as well as the existing penal codes regarding trespassing, invasion of privacy, or stalking, could help control drone use locally. Council emphasizing the importance of training police officers, educating the public, and protecting the privacy of residents. 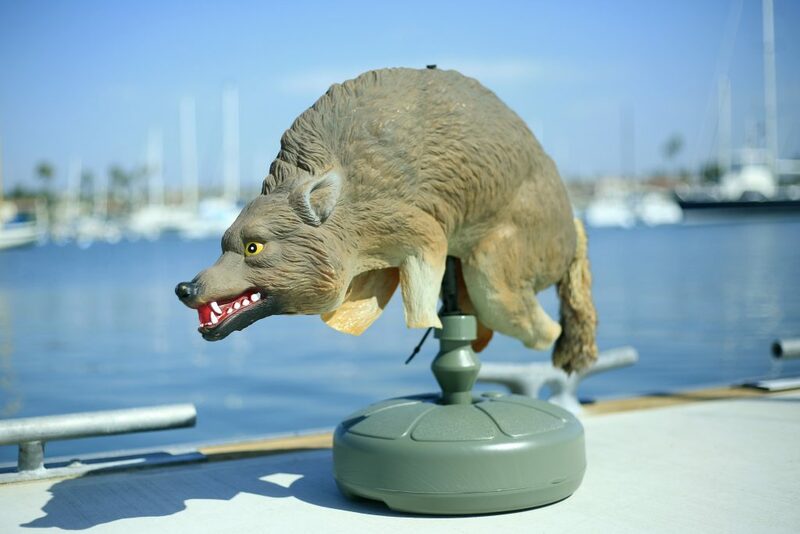 ► In a creative effort to deter sea lions from camping out on docks and boats, Newport Beach Harbor Operations Division placed plastic coyote decoys in problem spots around the harbor, as announced at the Oct. 11 Harbor Commission meeting. The coyotes were somewhat successful, although a few of the marine mammals wised up to the faux predators and were seen lying on a dock next to the decoys. 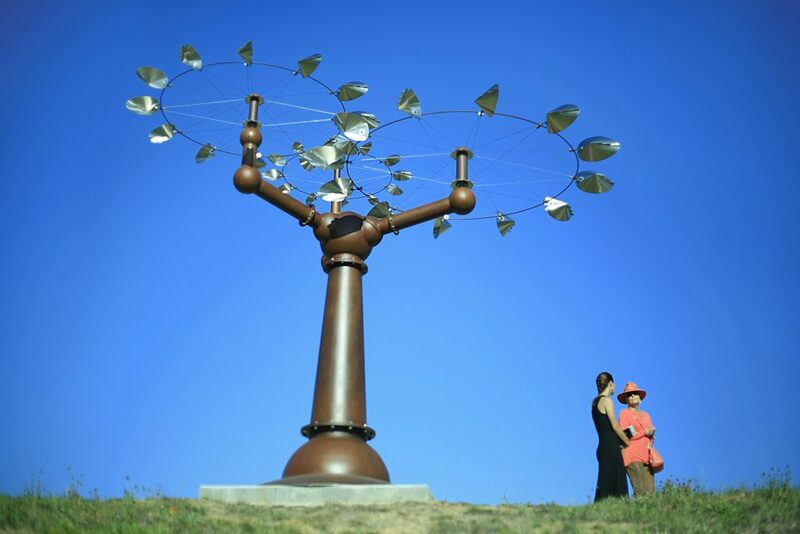 ► The new Sculpture Exhibition in Civic Center Park officially opened Oct. 28. A short program commemorating the third phase of the city’s sculpture rotation was held in council chambers. This phase sculptures include a diverse group of works, including figurative, representational, and abstract pieces. Many were colorful and kinetic. Several of the artists whose works were on display were also on hand at the event. This phase sculptures include: Flight by Steven Rieman, Be Still and Know by John Merigian, Cosmic Glints by Patricia Vader, Getting Your Bearings by David Boyer, Cultural Pedestrians by Sue Quinlan, Life is a Balancing Act by Cindy Debold, Burnt Matchstick by Karl Unnasch, Popsicles by Craig Gray, No Swimming by Oleg Lobykin. ► Following an audit of the Newport Beach Civic Center project, the construction manager agreed to reimburse the city $365,000 for certain associated costs, according to an Oct. 9 agreement. Results from the draft audit in 2016 identified more than $1.2 million in possible overpayments made to C.W. Driver, Inc., without substantiating documentation to justify the expenditures. During the “productive discussions” that followed the audit, CWD addressed the city’s concerns regarding certain cost allocations, officials wrote in a joint statement from the city and CWD released Oct. 18. “The city notes that there is no finding of wrongdoing on the part of C.W. Driver, but rather a good faith difference of opinion in the interpretation of a complex construction contract,” the statement reads. 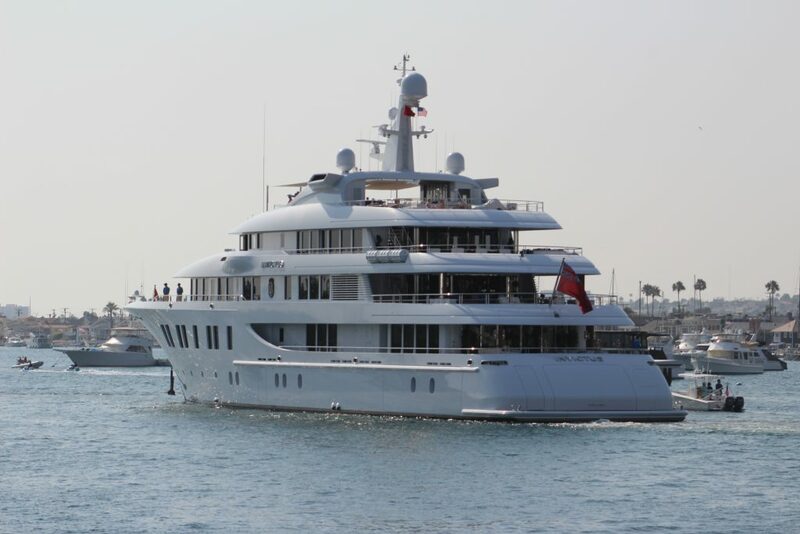 The mega yacht “Invictus” is just one example of a large vessel that has anchored in Newport Harbor. The city is looking into how to equitably charge these oversized visiting vessels. ► After months of discussion about the fee structure for transient oversized vessels mooring in the turning basin in Newport Harbor, an appraisal of the fair market and/or an equitable rate was ordered by the city. The appraisal is part of a fee study the city is undertaking not only about the large vessel anchorage fees, but the nightly vacant mooring rental rates as well. The thought for many years has been to charge these oversized boats a pro-rated mooring permit fee, which varies depending on size. For a boat like the 216-foot Invictus, a “mega yacht” that has anchored in Newport Harbor in the past, the fee would break down to – very roughly – between $17 to $21 per day. Officials previously questioned whether a more proportionate fee would be appropriate. Costa Mesa-based Netzer and Associates is completing the appraisal at a cost of $6,500. Staff anticipate January or February for completion. ► Newport Beach City Council got the ball rolling Nov. 14 on the General Plan update, but slowed down in an effort to be transparent, engage and inform the community, and take their time considering a potential update. The General Plan provides the policy basis for all land-use and zoning regulations, details how circulation and traffic will (or won’t) work, lays out development guidelines, and more. The last update was in 2006. After city staff presented the potential process during the study session, Council supported the idea of establishing a “blue ribbon” committee to review the existing plan and circle back in a year or two with suggestions for the Council on what — if anything other than the absolutely necessary — elements of the General Plan should be updated. A view of the Banning Ranch property, which Newport Beach City Council vacated all prior project approvals for on Nov. 28. ► City Council voted 7 to 0 on Nov. 28 to set aside and vacate all project approvals for Newport Banning Ranch, the previously proposed 401-acre mixed use project in the 5100 block of West Coast Hwy. Several audience members applauded after the council unanimously agreed to rescind the approvals. It’s been a years-long battle that pitted developers against environmentalists over control of one of the largest remaining private open spaces in Sothern California. In a decision earlier this year, the Superior Court of California ruled in favor of Banning Ranch Conservancy in a lawsuit against the city. The court found city’s EIR inadequate and that the city failed to adequately and appropriately work and coordinate with CCC staff, consistent with the general plan to identify habits for preservation, restoration, or development prior to the city’s project approval. The court ordered the city to vacate the prior approvals relating to the Newport Banning Ranch project, which is exactly what the City Council did. Although the item was on the Council’s consent calendar, which consists of several routine items typically voted on without discussion, there were several public speakers. ► Ruby’s Diner celebrated 35 years in business on Dec. 7. In 1982, Doug Cavanaugh and his friend Ralph Kosmides opened a 45-seat restaurant named Ruby’s after Cavanaugh’s mother, Ruby (who passed away in 2015). The diner is celebrating with Burger Day. Most Ruby’s locations offered the classic RubyBurger with French fries for the classic price of $2.99. Also on the day of the anniversary, $1 of each sale will benefit The Ruby Dooby Foundation. 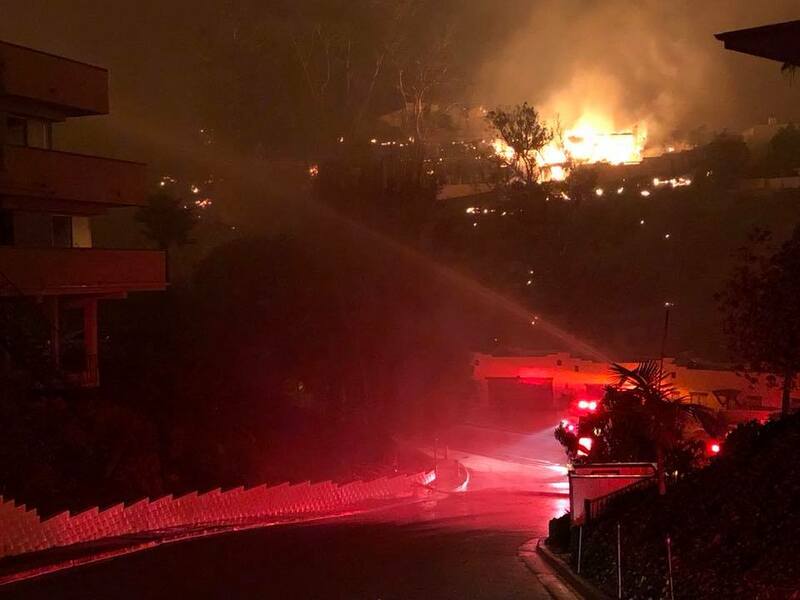 Newport Beach Fire Department responded to a mutual aid request Dec. 5 to help fight the “Thomas Fire” in Ventura County. ► Newport Beach Fire Department responded to a mutual aid request to help fight the “Thomas Fire” in Ventura County, NBFD officials explained in a Dec. 5 message. The county requested assistance from fire agencies throughout the state due to the number of structures and lives threatened. Newport Beach sent two engines with eight personnel up the coast to the Thomas Fire. The Type 1 Engines provided structure defense and establish control lines around the fire, according to NBFD officials. 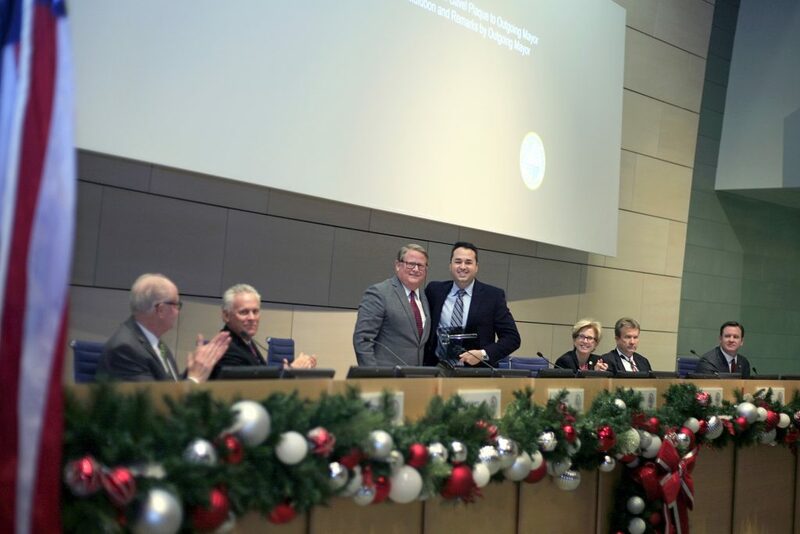 New Mayor Marshall “Duffy” Duffield (center, left) and former mayor Kevin Muldoon pose for a photo as they swap seats and their fellow City Council members look on during the Dec. 12 meeting. ► Marshall “Duffy” Duffield was elected Dec. 12 by his fellow City Council members as the next mayor of Newport Beach. Will O’Neill was voted in as mayor pro tem. Both received unanimous support on the dais. Duffield said he aims to focus on the harbor during his mayoral tenure. The former Harbor Commissioner and longtime harbor expert and advocate explained his ideas: Highlight the harbormaster program and harbor operations department, code enforcement, continue dredging, work on replenishing beaches, and improve water quality in the bay. (left) Resident Nancy Skinner at a Recall Scott Peotter Committee table at OASIS Senior Center in Corona del Mar last week. (right) Newport Beach City Councilman Scott Peotter. ► Following months of campaigning on both sides of a divisive recall effort in Newport Beach, officials have found the petition to recall City Councilman Scott Peotter to be short by about 100 valid signatures. It was insufficient by 106 signatures, city officials confirmed on Dec. 13. Peotter was elected to City Council in 2014 to represent district 6, which covers Corona del Mar. Members of the Committee to Recall Scott Peotter served him notice during an April council meeting. The group submitted their signed recall petition on Oct. 27. It took about two and half hours for city staff to count the 10,688 signatures. The County of Orange Registrar of Voters had 30 business days to verify signatures. More than 2,100 signatures were found invalid for various reasons. About 200 of them were rescinding signatures from Peotter. Recall proponents needed 15 percent of registered Newport Beach voters, or 8,445 valid signatures. The clerk verified 8,339. The 109th Newport Beach Christmas Boat Parade sailed into its first of five nights on Dec. 13. 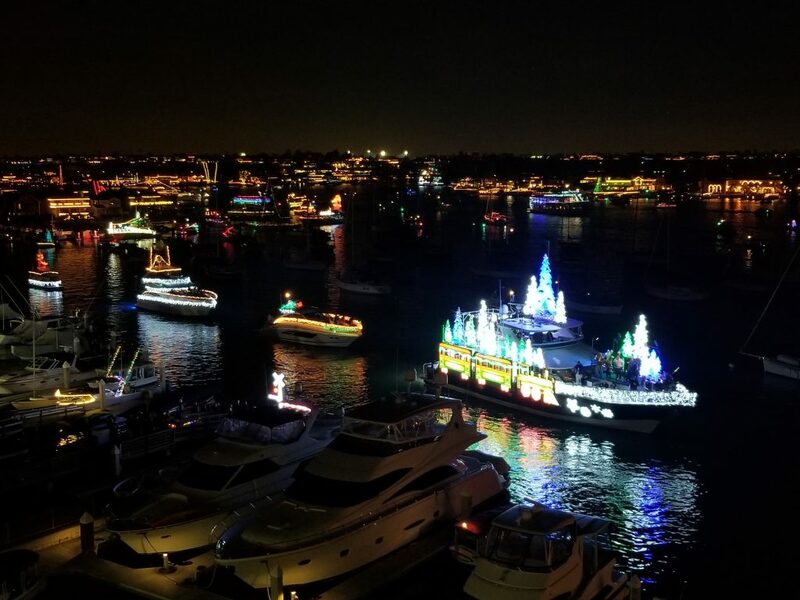 ► The 109th Newport Beach Christmas Boat Parade sailed into its first of five nights on Dec. 13 in spectacular Southern California fashion. New Mayor Marshall “Duffy” Duffield declared Vicki Gunvalson, one of the original Real Housewives of Orange County on the Bravo reality TV show of the same name, to be Grand Marshal of the first night of the parade. Residents and city leaders explore the new Central Avenue Public Pier on Dec. 13. 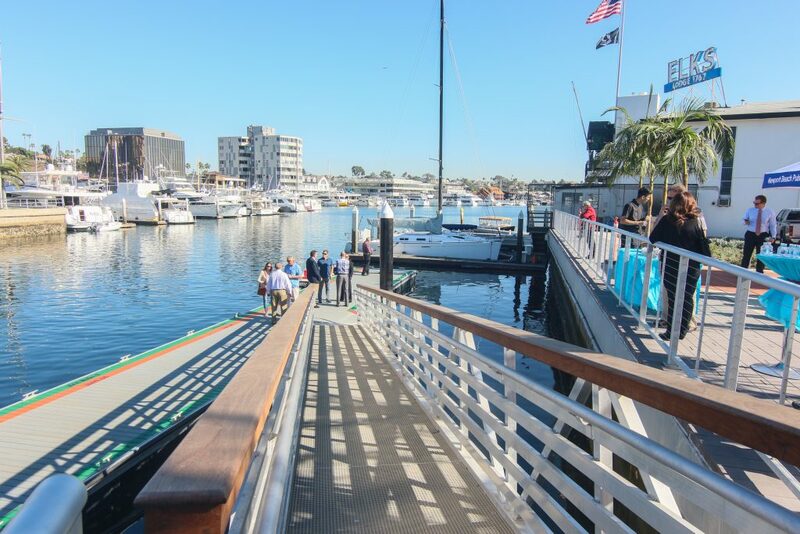 ► The city held a brief dedication ceremony Dec. 13 to celebrate the harbor’s newest public amenity, the Central Avenue Public Pier and Plaza. The pier 84-feet long and 10-feet wide pier provides an important link between water users, particularly those anchoring in the city’s temporary mooring fields, and the retail shops and restaurants at Lido Marina Village and the nearby area. Harbor Commission Chair Bill Kenney said during the ceremony that one of the goals of the commission is to improve public access in and around Newport Harbor. “There is no better example of the achievement of that goal than the pier that we’re dedicating today,” Kenney said. 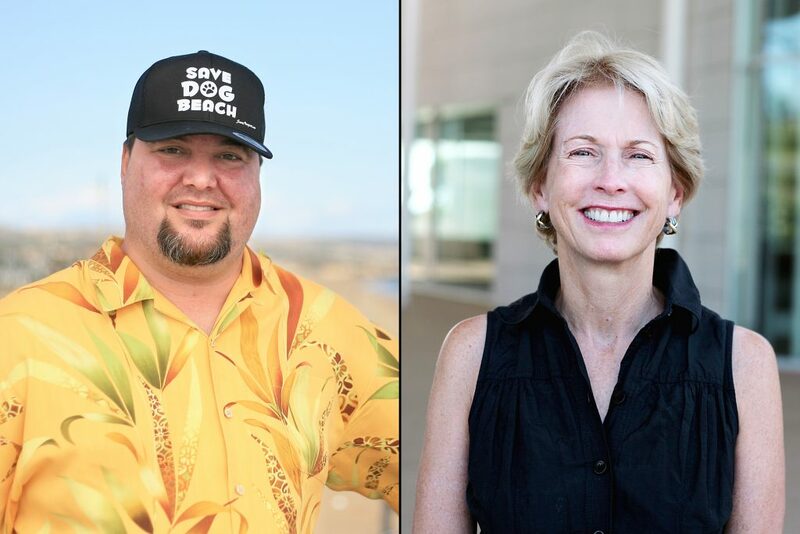 Community activist Mike Glenn lost his defamation lawsuit against the city of Newport Beach and City Councilwoman Diane Dixon in Orange County Superior Court. ► Community activist Mike Glenn lost his defamation suit against the city of Newport Beach this week, with the court ruling the statement in question as protected speech. Filed Aug. 4 in Orange County Superior Court small claims, the lawsuit named City Councilwoman Diane Dixon and Assistant City Clerk Jennifer Nelson. Glenn filed the lawsuit in response to Dixon questioning him in April about his numerous public records request. The interaction happened at the April 11 City Council meeting, during the discussion on the Balboa Peninsula Trolley (which Glenn strongly opposed and Dixon supported) when Dixon questioned Glenn about a possible bill he owes the city. Glenn maintained he hadn’t been notified of a bill, nor had he authorized staff to print any copies or asked to pick any records up from the city.